These beautiful lamps come to us packed together in pairs in one box, complete with shades. 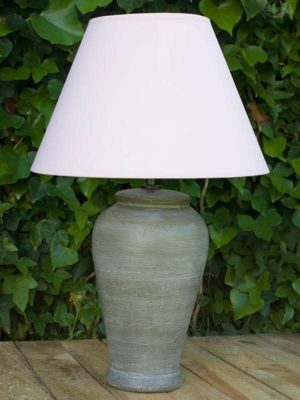 The minimum order we are able to supply is therefore 2 lamps and shades. 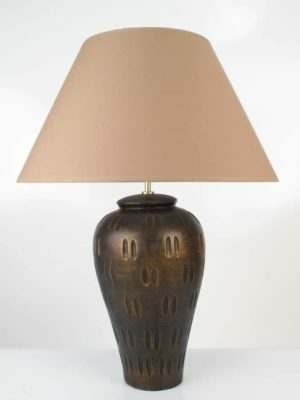 Price shown is for one lamp and shade. 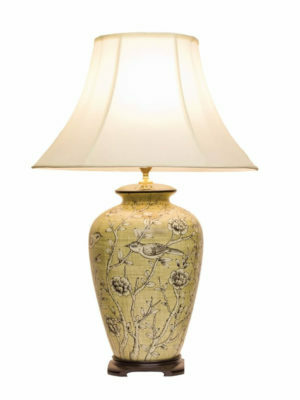 Large general jar lamp in white decorated with stems and flowers in striking metallic gold. Question? Please click here to contact us. Large general jar lamp in white decorated with stems and flowers in striking metallic gold. Constructed from a 35cm porcelain general jar mounted on a hardwood stand and carrying a golden coloured faux silk fully-lined shade. Lamps are packed in pairs for safe transport. Minimum order is one pair i.e. 2 identical pieces. fitted with UK 3 pin plug and in-line switch.